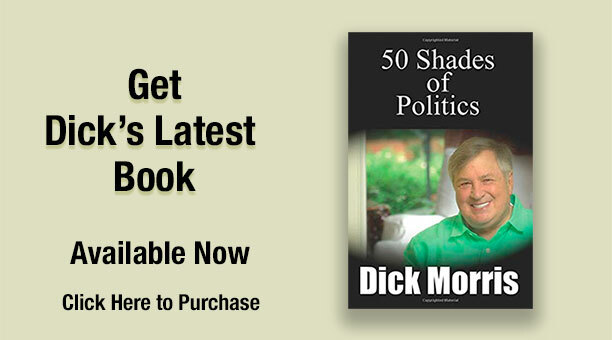 As I did last week, I will be posting my comments on the GOP debate tonight minute-by-minute on DickMorris.com. Watch the debate on CNN and, at the same time, log onto DickMorris.com to read my commentary as the debate unfolds. I’ll discuss each candidate’s strategy, evaluate who is scoring points, and give you a sense of how I think it is going. Last week, 72,000 people joined me as I followed the debate. Come on in tonight! Immediately following the debate, I will host a FREE LIVE Interactive Video Chat at DickMorris.com commenting on the GOP Debate and taking your questions and comments live. Please join me. Go here now to register for this special LIVE Interactive Video Chat.